The Ultimate Fighting Championship’s first ever card in Edmonton, Alberta, will feature a compelling flyweight fight, as the promotion’s announced Henry Cejudo will take on Wilson Reis. The card will take place on September 16th at the city’s Rogers Place arena. 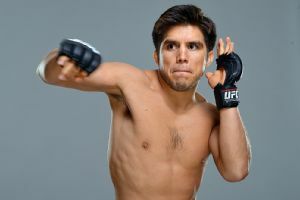 Cejudo (10-2) has been defeated in back-to-back bouts, as the former, Olympic Gold Medalist wrestler is coming off losses to flyweight champ Demetrious Johnson and Joseph Benavidez. Reis (22-7) faced Johnson in April, and was submitted in the third round. Prior to that the veteran had won three in a row. The main event for UFC 216 has yet to be announced.